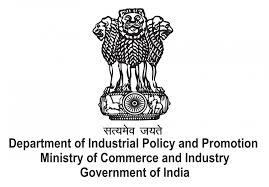 The Department of Industrial Policy & Promotion was established in 1995 and has been reconstituted in the year 2000 with the merger of the Department of Industrial Development. Earlier separate Ministries for Small Scale Industries & Agroand Rural Industries (SSI&A&RI) and Heavy Industries and Public Enterprises (HI&PE) were created in October, 1999. Institute for Competitiveness, India is the Indian knot in the global network of the Institute for Strategy and Competitiveness at Harvard Business School. Institute for Competitiveness, India is an international initiative centered in India, dedicated to enlarging and purposeful disseminating of the body of research and knowledge on competition and strategy, as pioneered over the last 25 years by Professor Michael Porter of the Institute for Strategy and Competitiveness at Harvard Business School. Institute for Competitiveness, India conducts & supports indigenous research; offers academic & executive courses; provides advisory services to the Corporate & the Governments and organises events. The institute studies competition and its implications for company strategy; the competitiveness of nations, regions & cities and thus generate guidelines for businesses and those in governance; and suggests & provides solutions for socio-economic problems.